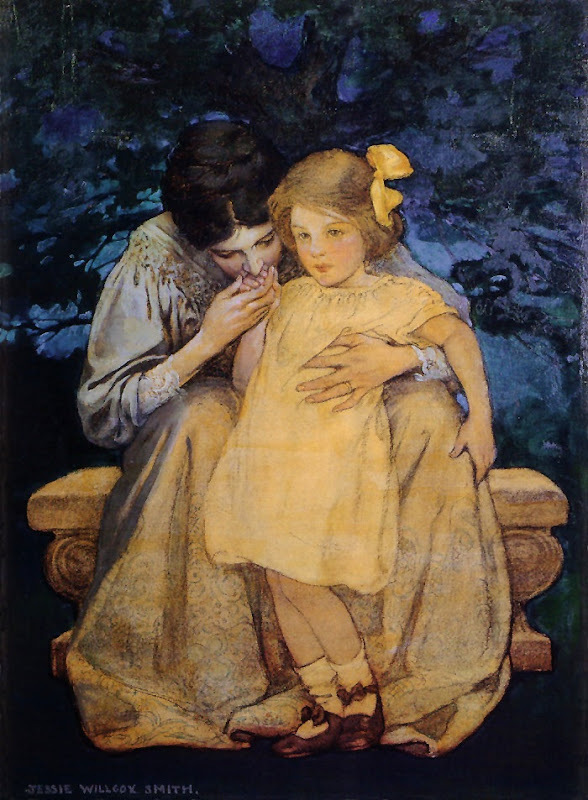 Born in the Mount Airy neighborhood of Philadelphia, Pennsylvania, in 1884 Smith attended the School of Design for Women (which is now Moore College of Art & Design) and later studied at the Pennsylvania Academy of the Fine Arts under Thomas Eakins in Philadelphia, graduating in 1888. 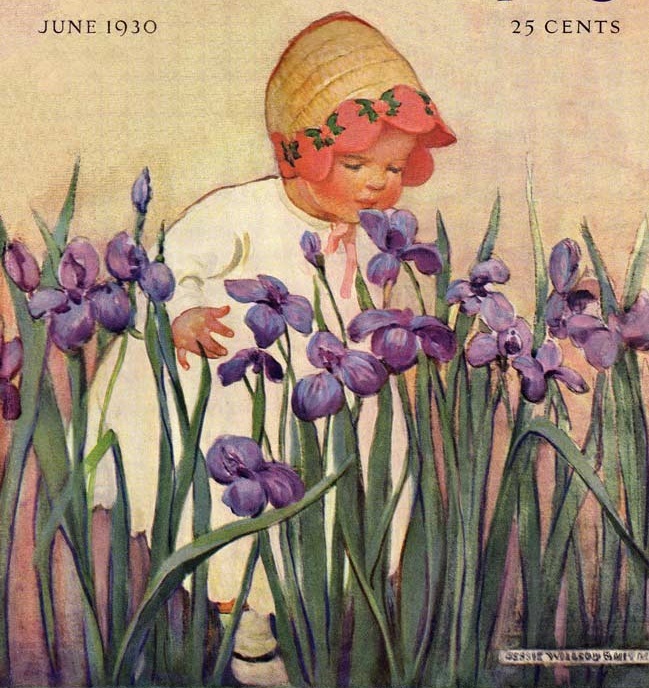 A year later, she started working in the production department of the Ladies' Home Journal, for five years. 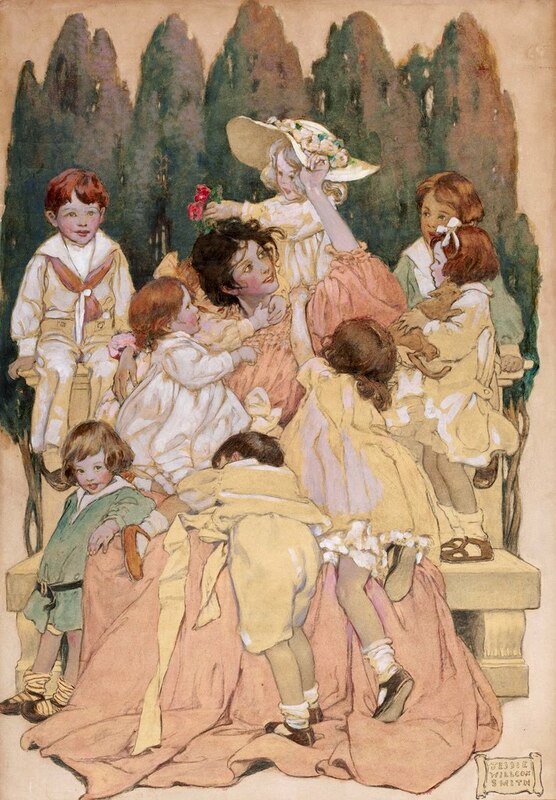 She left to take classes under Howard Pyle, first at Drexel and then at the Brandywine School. 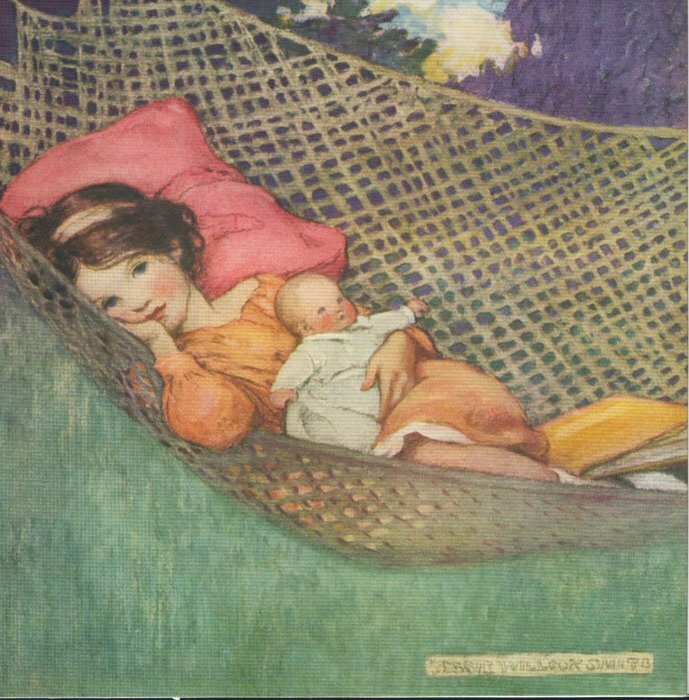 She was a prolific contributor to books and magazines during the late nineteenth and early twentieth centuries, illustrating stories and articles for clients such as Century, Collier's Weekly, Leslie's Weekly, Harper's, McClure's, Scribners, and the Ladies' Home Journal. 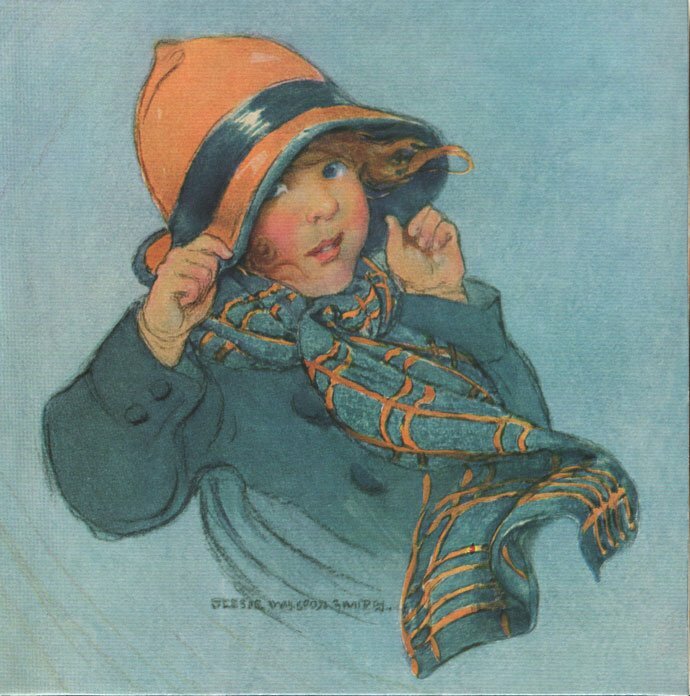 The Hall of Fame of the Society of Illustrators has inducted only 10 women since its inception in 1958. 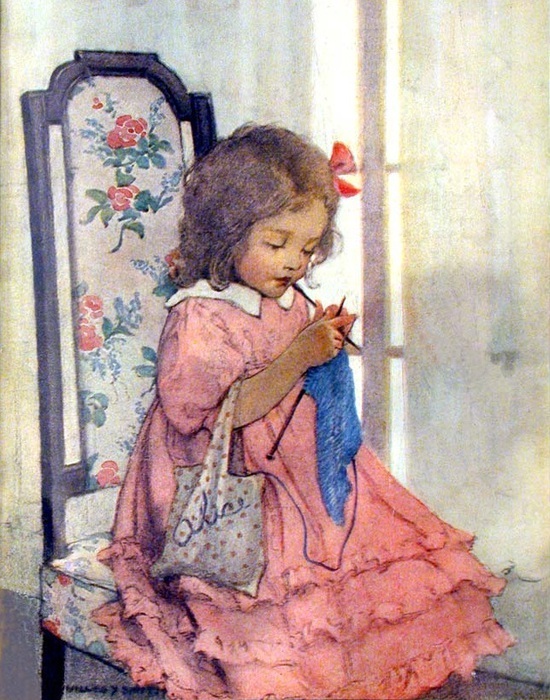 Smith was the second after Lorraine Fox. 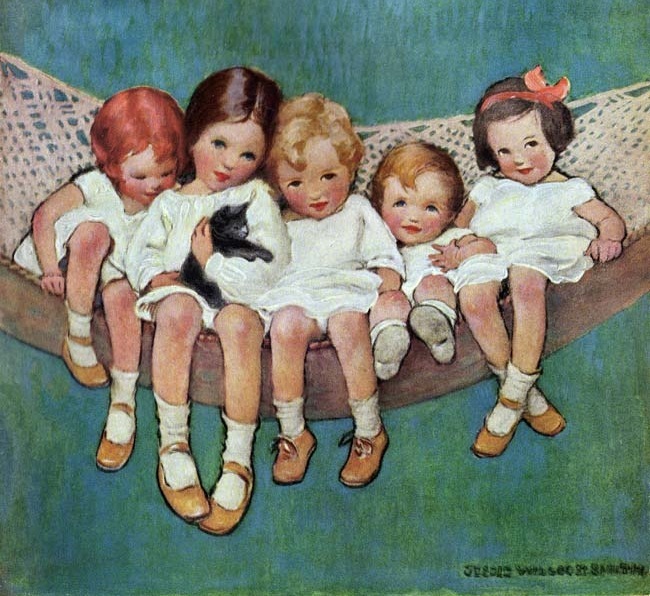 Of those ten, three of them occupied the same house, Cogslea, as the Red Rose Girls. Elizabeth Shippen Green and Violet Oakley were fellow Howard Pyle students that shared that space, which was arguably the finest collection of illustrative talent ever in American life. 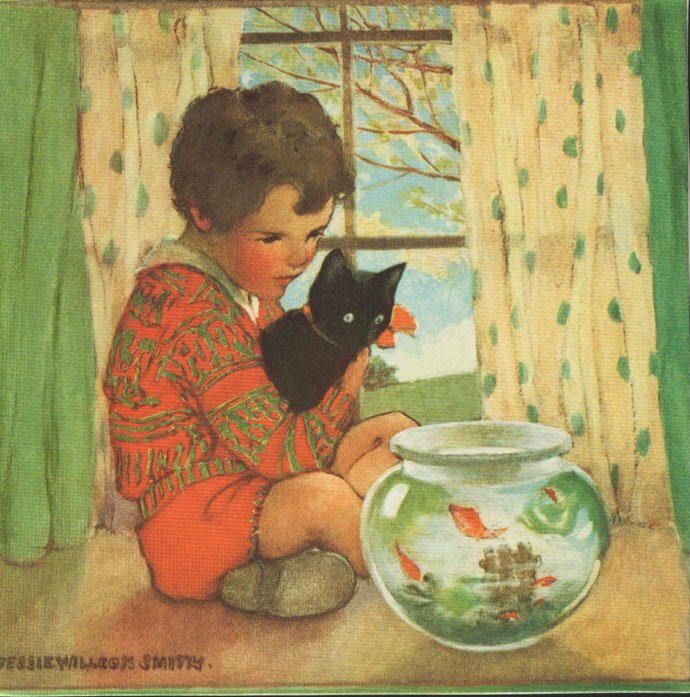 Smith's papers are deposited in the collection of the Pennsylvania Academy of the Fine Arts. 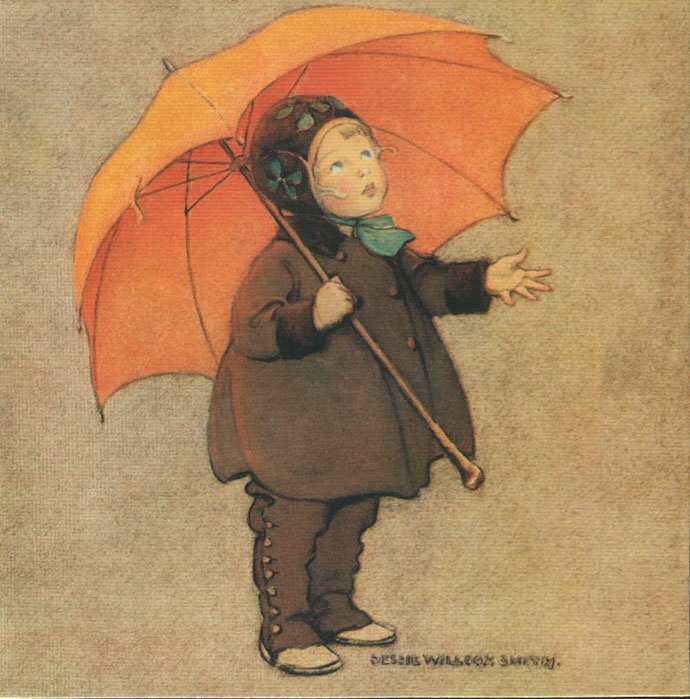 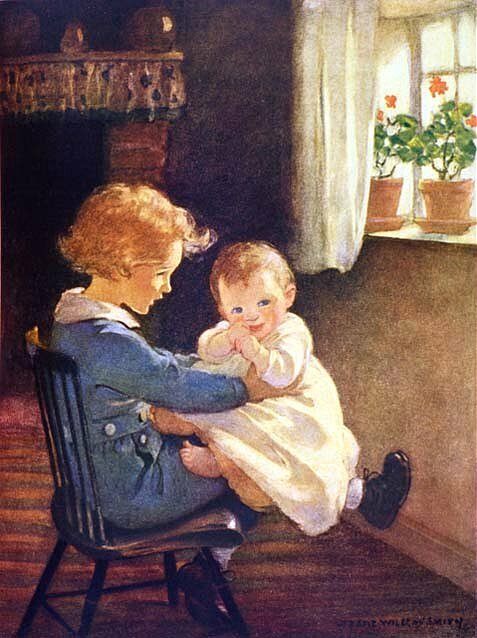 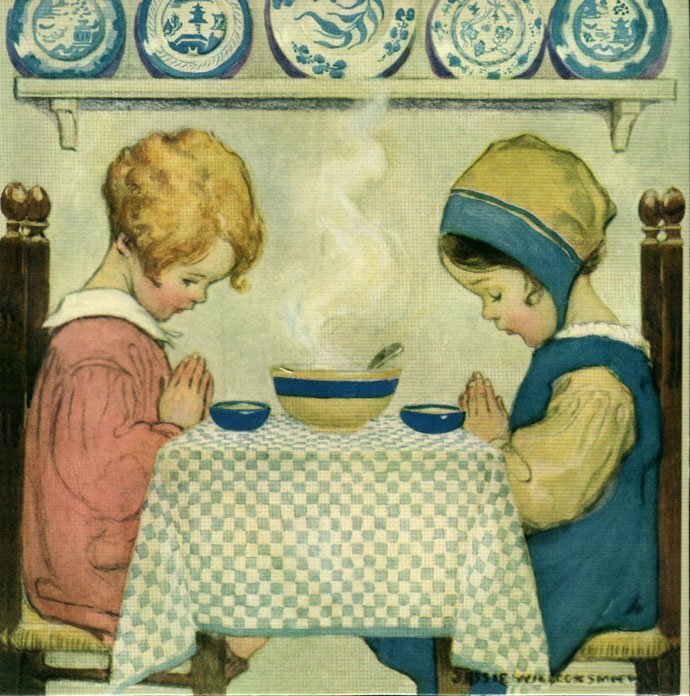 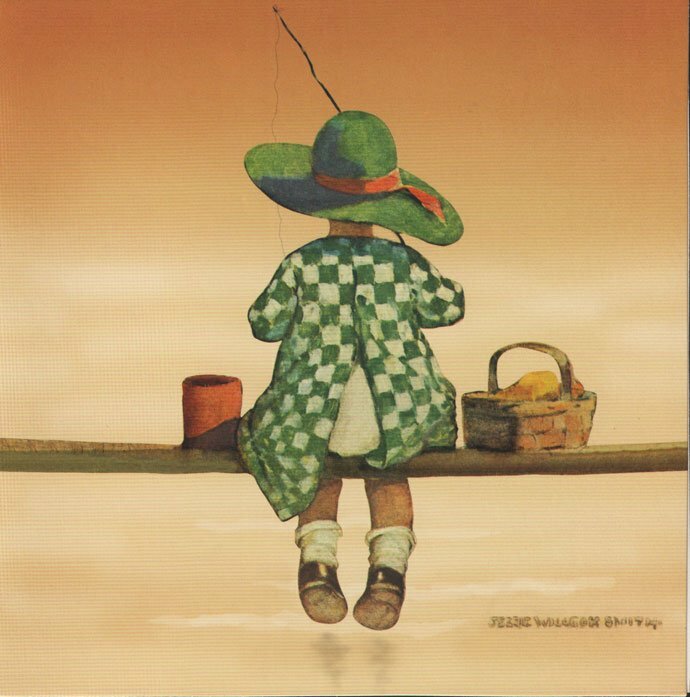 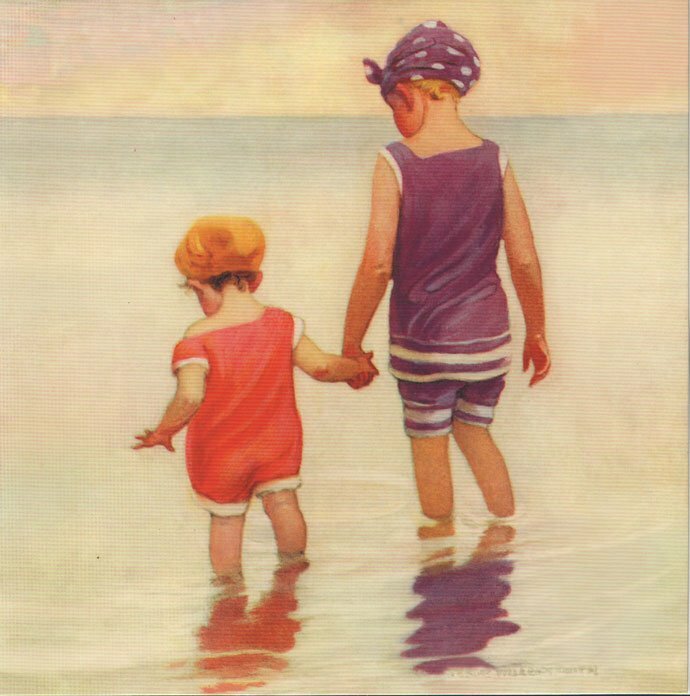 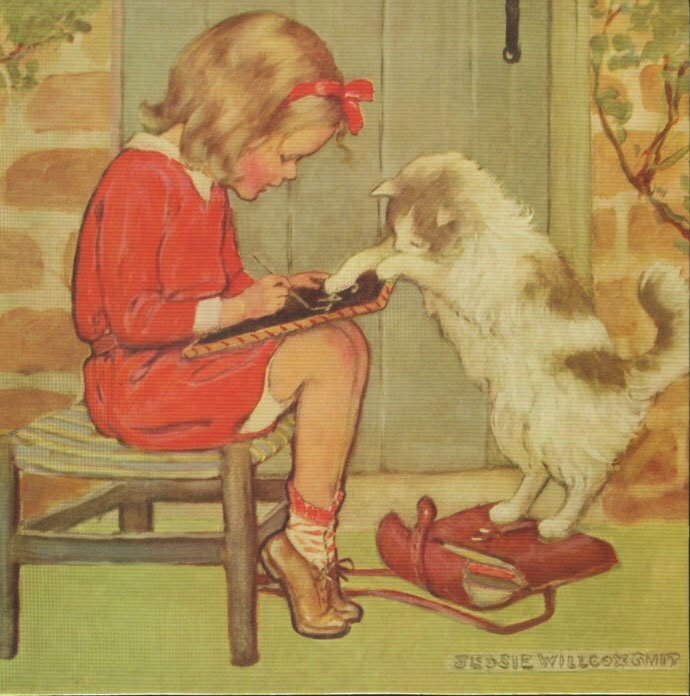 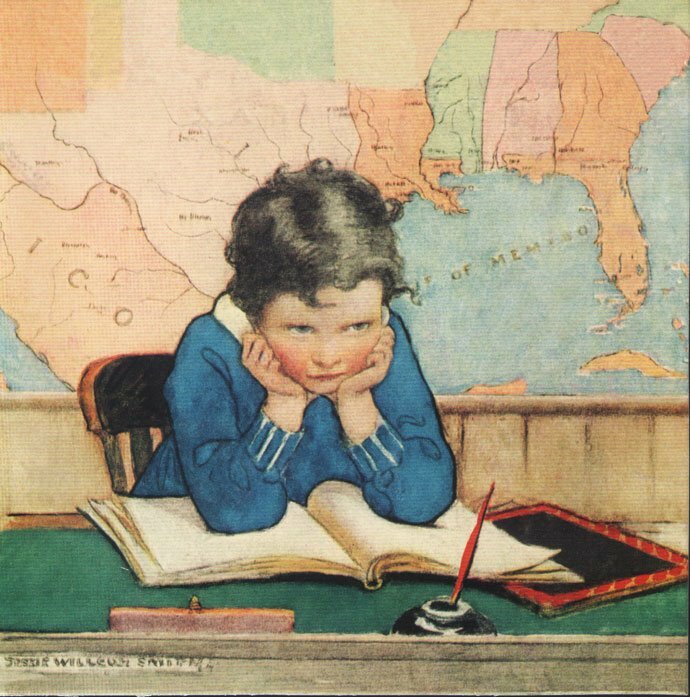 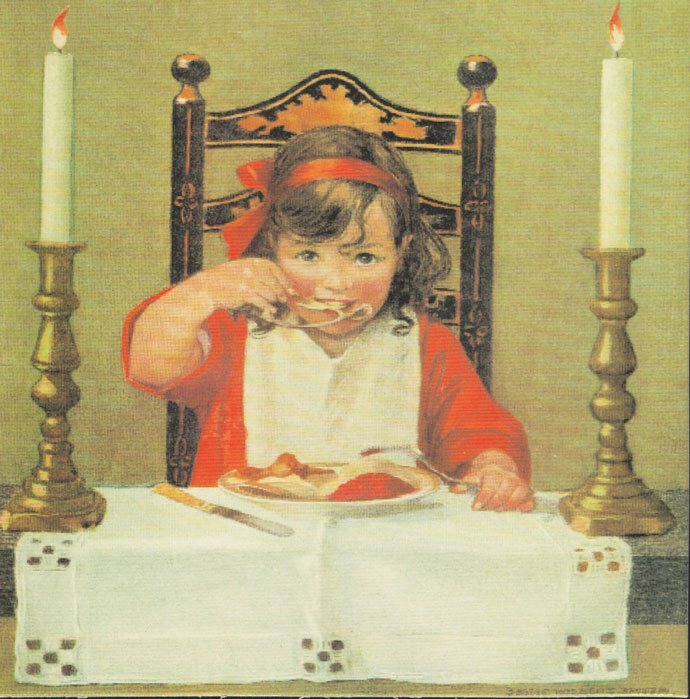 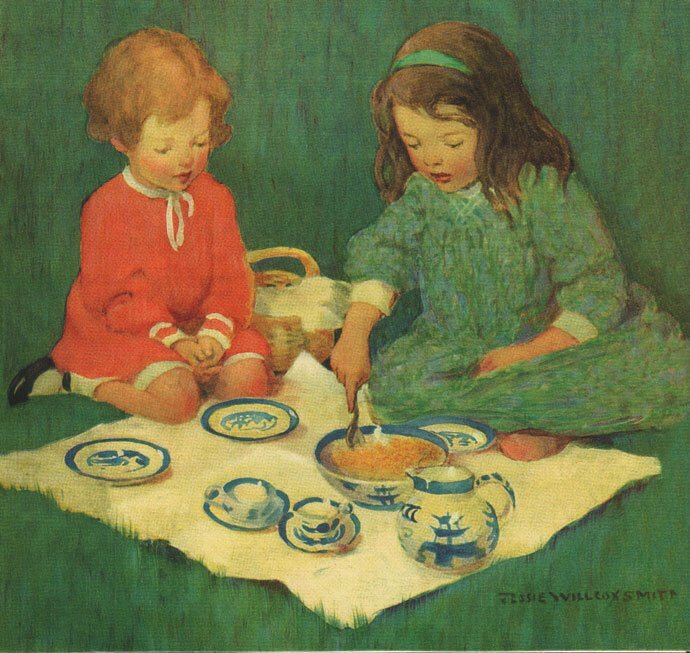 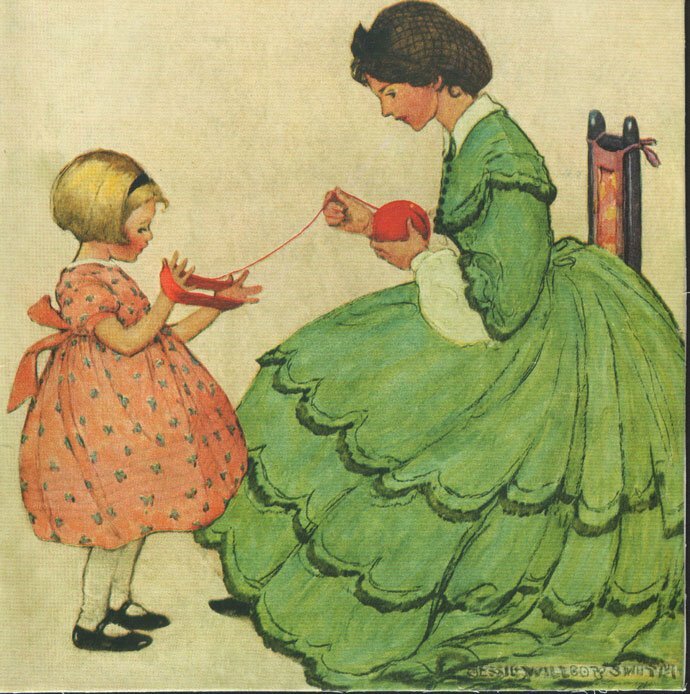 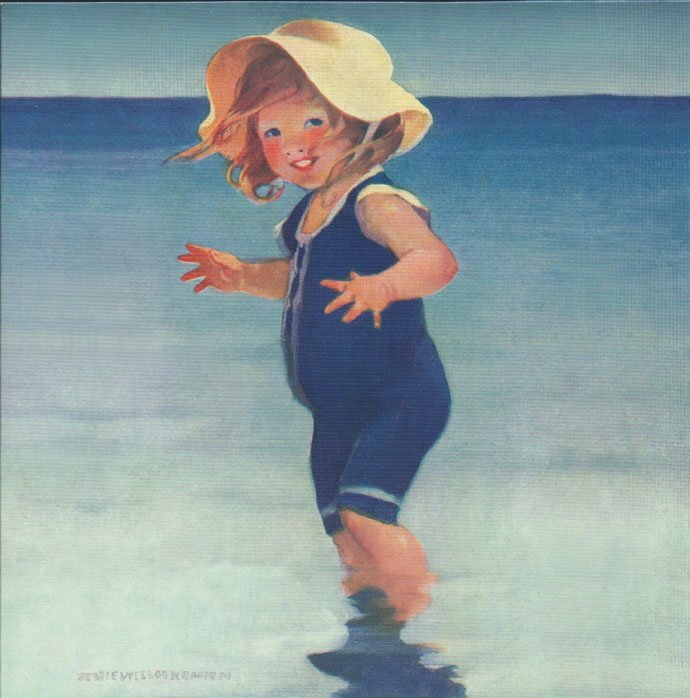 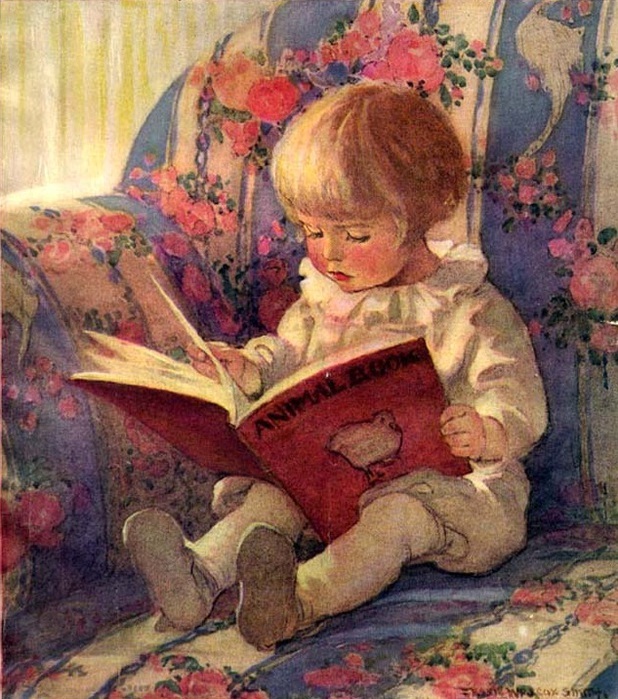 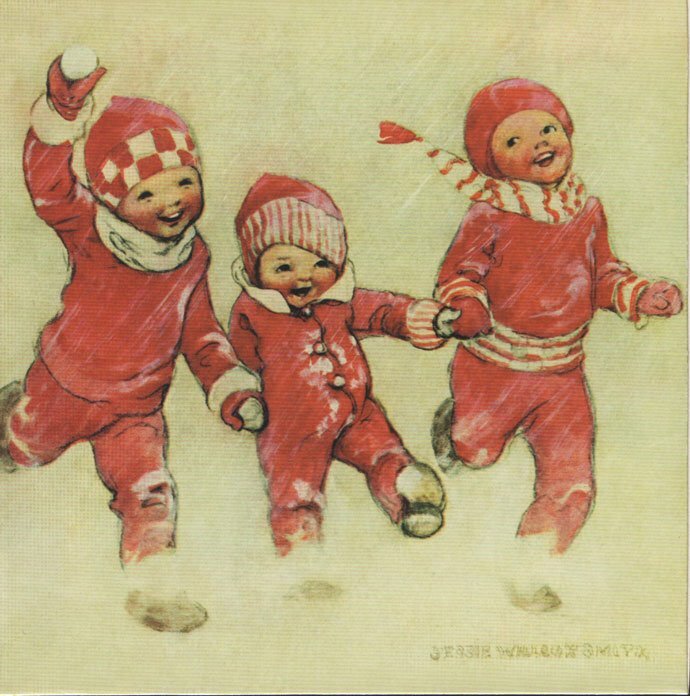 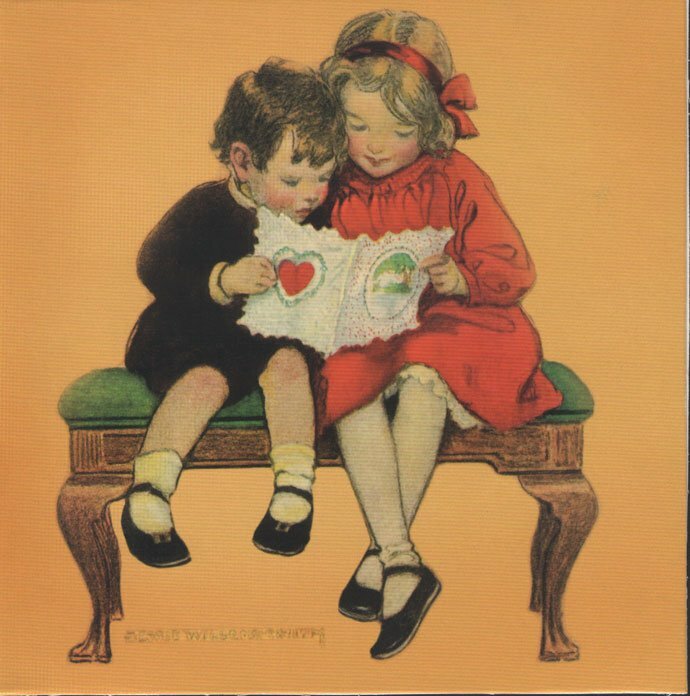 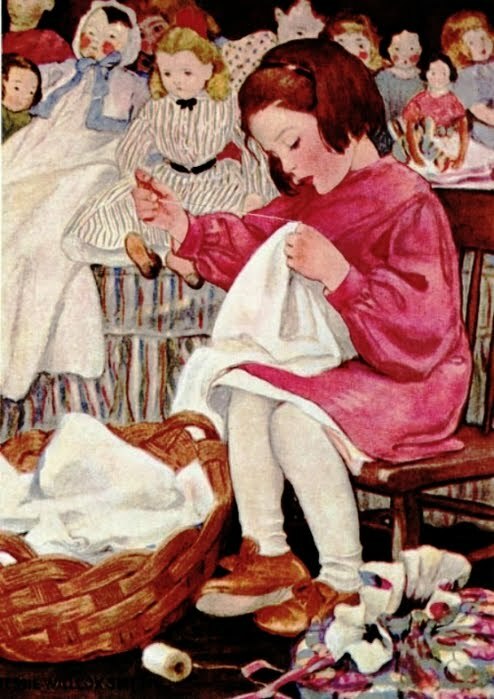 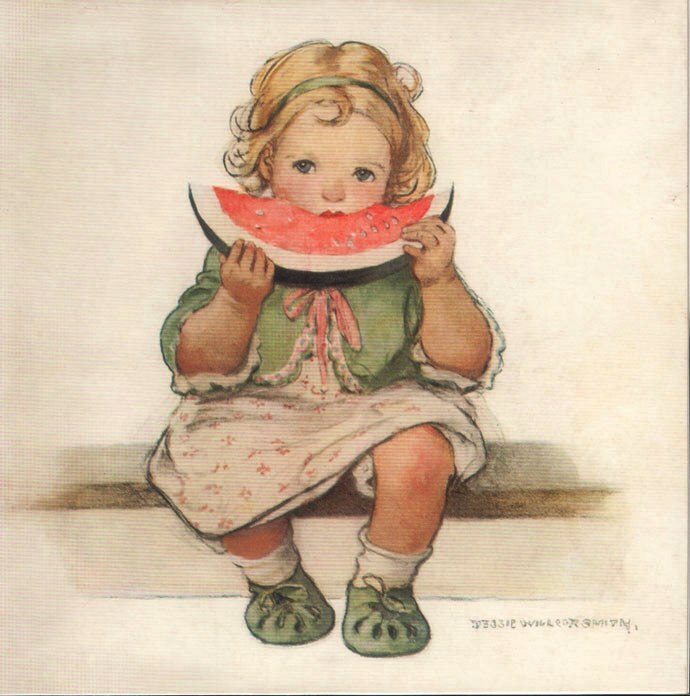 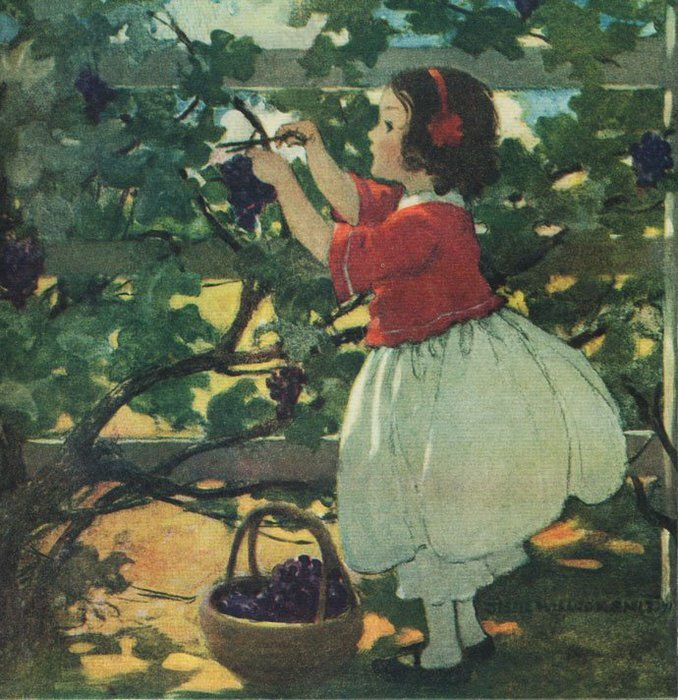 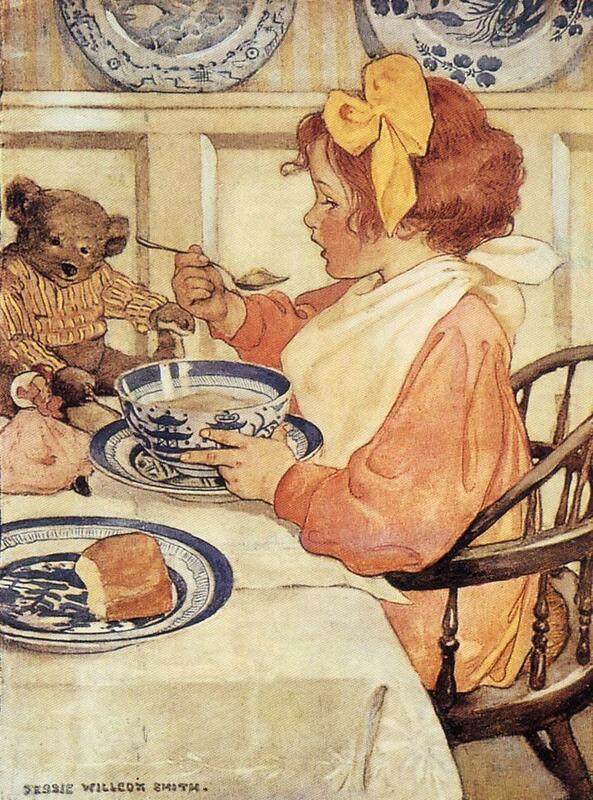 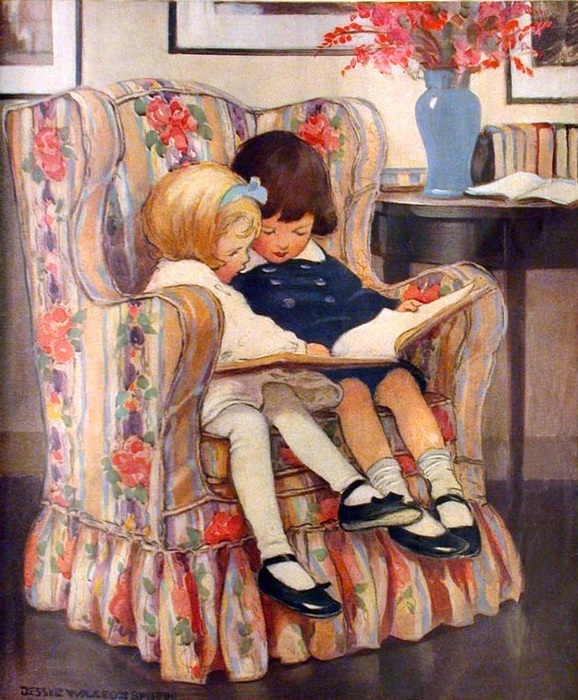 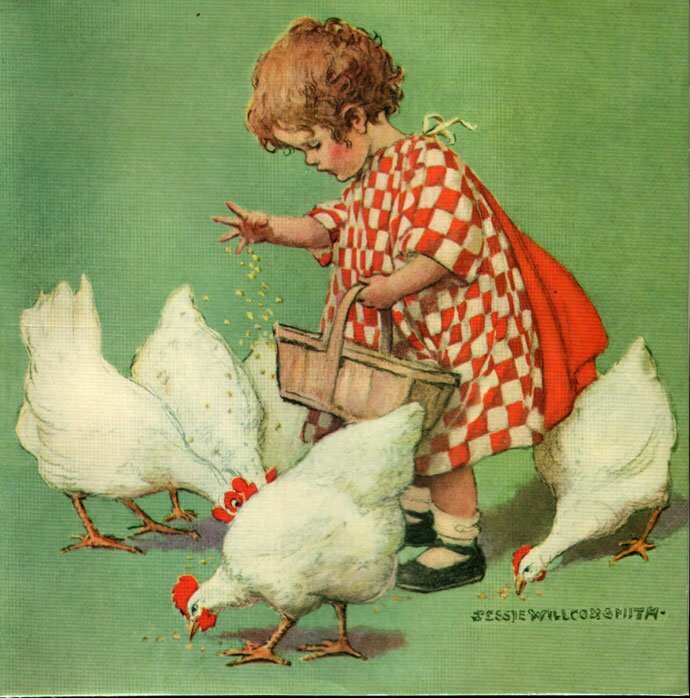 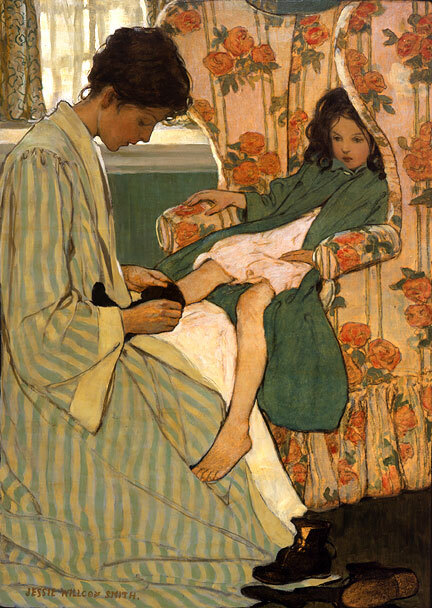 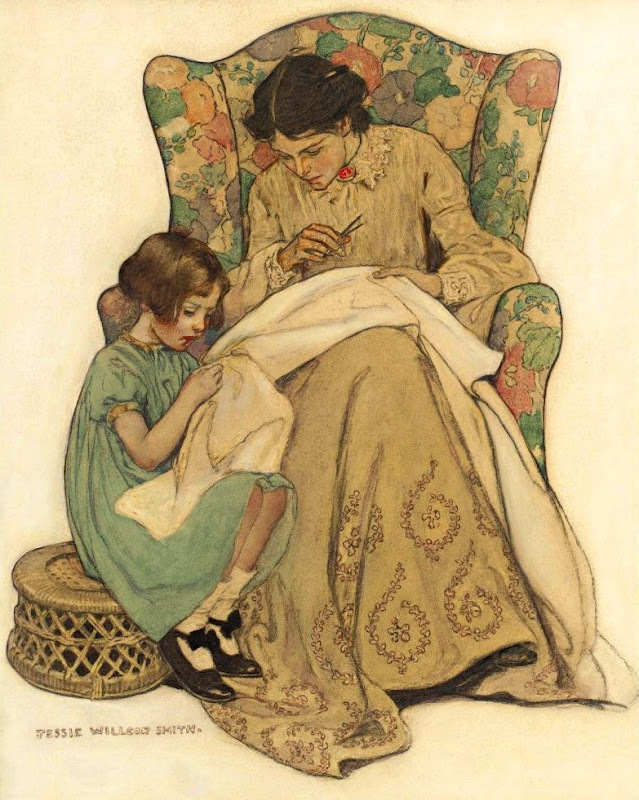 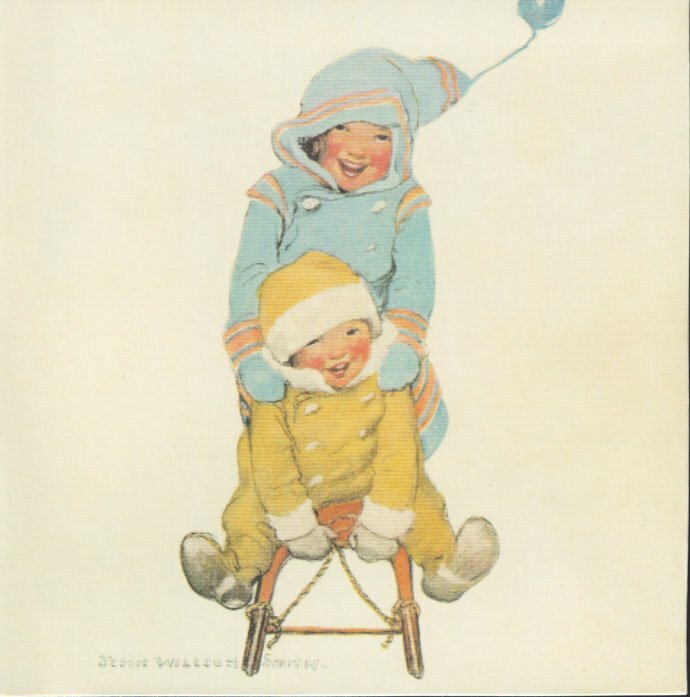 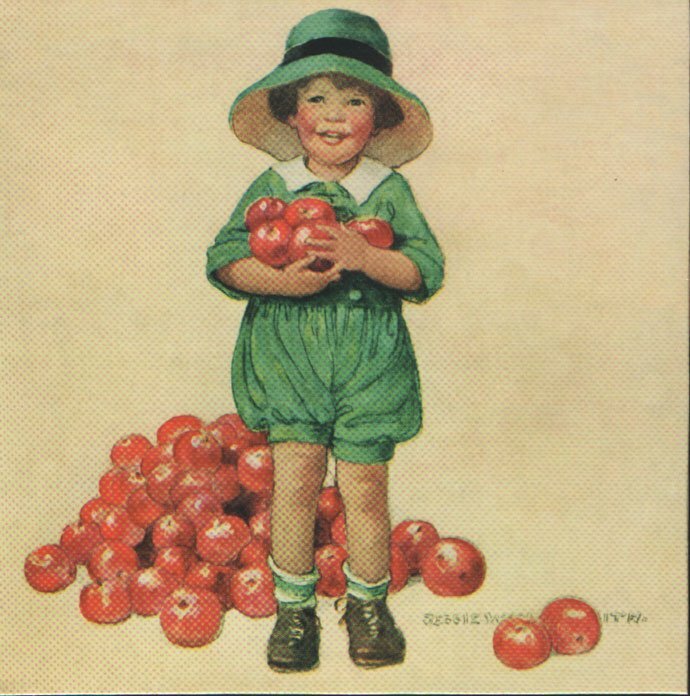 Etiquetas: children, Jessie Willcox Smith, painting, U.S.
check more. 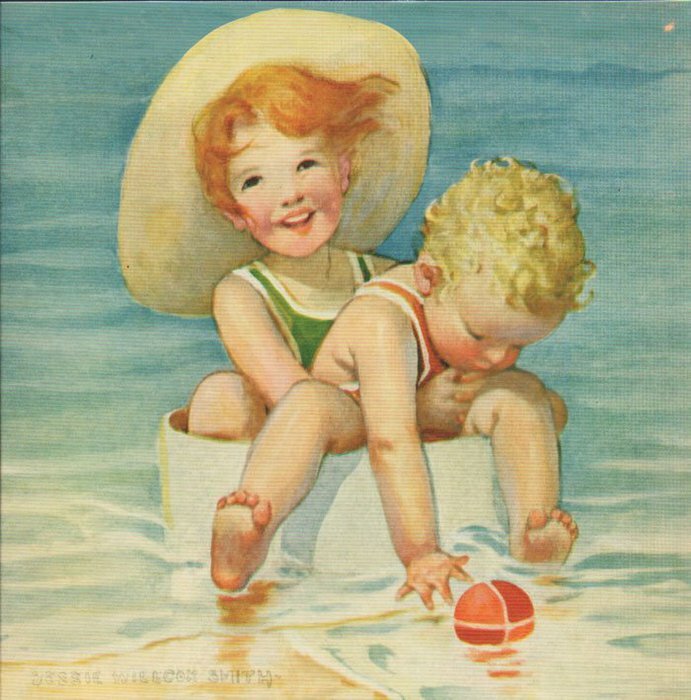 I promise I will return. 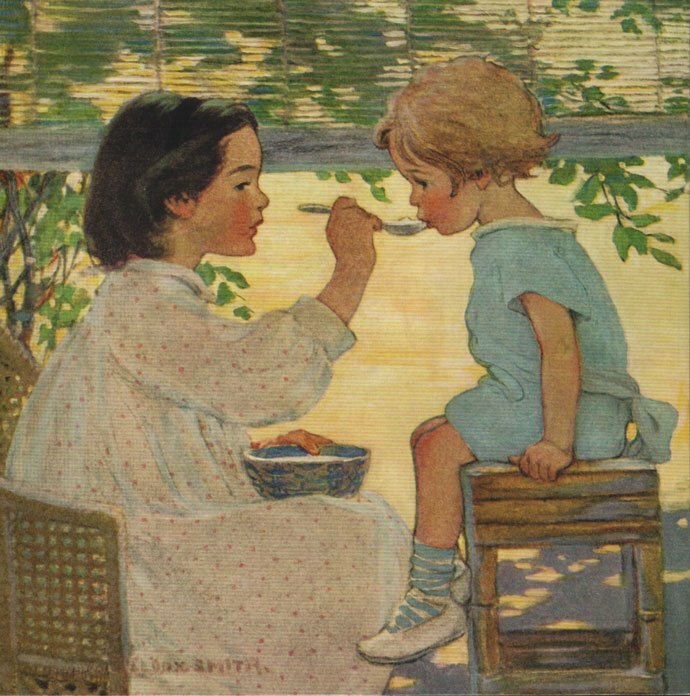 Thanks for sharing so many pieces of good Art.